Who would have thought looking for pretend monsters on the streets of NYC would be a huge success? I know I was surprised when Pokémon Go became one of the top downloaded apps in 2016. This gaming app broke the mold for augmented reality usage in the consumer space and ultimately advertising. The app engaged players to travel around their area in search of mystical creatures. Retailers would even pay to have their location become a hotspot for app users, leading to increased store traffic. Pokémon Go’s success brought augmented reality out of the sci-fi books and into our present world. Personally, when I first was introduced to augmented reality years ago— even though cool— I thought it would be as popular as QR codes. A quick cool gimmick that would raise fast, but fade as fast as Silly Bands. But to my surprise, augmented reality has entered the marketing space, and is projected to have 1 billion users by 2020. AR doesn’t always have to include the fanfare of the Pepsi ad, companies like Sephora, WatchBox, and Houzz now are using AR in order to enhance the consumer experience with their virtual try-on features. 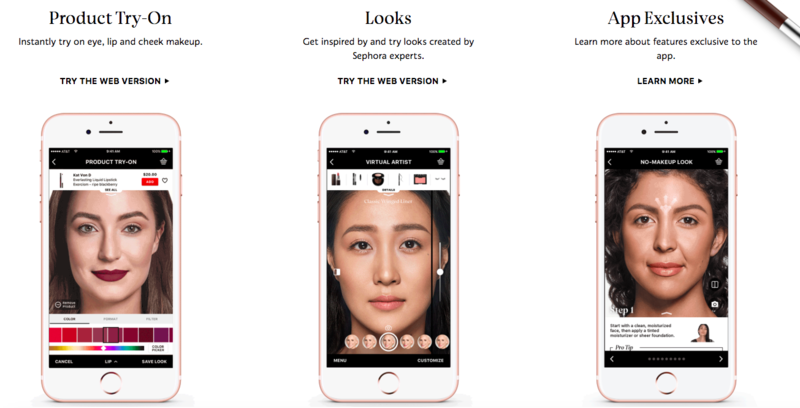 Sephora, a make-up retailer and distributor, launched a new app in 2017, where consumers have the ability to virtual try-on different make-up shades, colors and style. WatchBox, a global e-commerce platform for pre-owned luxury watches, also launched a mobile app feature where consumers can try on an array of watch-styles before buying. 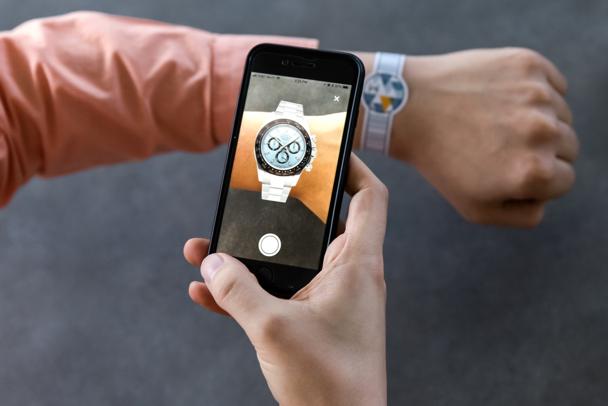 This AR function was added since about 1/3 of the watches purchased on site were returned after consumers claimed “it looked different on site.” The company hopes this AR tool will help consumers more confident in their buy decisions.